Land Clearing Magnolia Texas l Dirtwirx Inc.
Beautiful Magnolia, TX is full of opportunities for new constructions, whether you wish to build your dream home or to set up a custom space for your business. 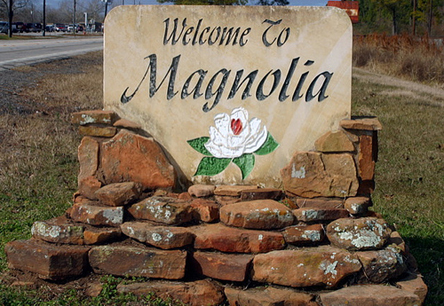 Located to the northwest of Houston, between the city and Lake Conroe, Magnolia is nestled in a quiet area yet still within an easy distance of the recreational opportunities at the Lake or the exciting city life of Houston. In short, Magnolia offers a wonderful mix of both worlds, and if you’re ready to relocate there, the Dirtwirx team is ready to take your building project to the next step. Our services can help you along every step of the way. Our land clearing team is able to transform even the roughest landscape into a smooth, vegetation-free surface primed for building. We can address drainage problems that the property may have, ensuring that water flows away from your building site and doesn’t sit and stagnate for days. In addition to land grading (adjusting the slope of the land), we can install culverts and retention or detention ponds to make this happen. We are also capable of creating construction entrances, prepping driveways, digging trenches for utilities, and removing any trees (stump and all) that are in the way. Once your building has been constructed, we can help clean up any miscellaneous debris left on the site and perform any other finishing touches that may be required on the surrounding property. Our Net-30 payment option makes it easy to get started now and to pay later. Contact us today to discuss your plans and to receive a detailed line-item estimate in no time.